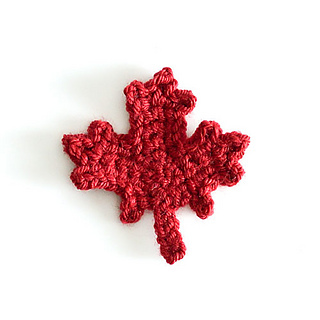 This pattern is available from planetjune.com for $5.00. 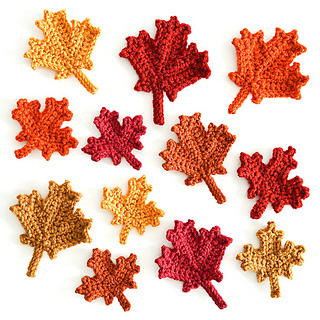 Maple Leaf Collection is an original crochet pattern by June Gilbank, including patterns for two different sizes of realistic leaves. 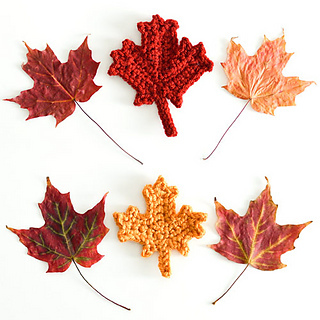 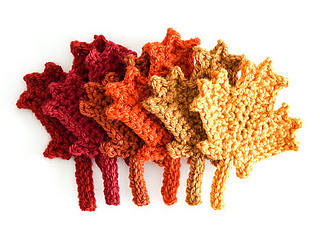 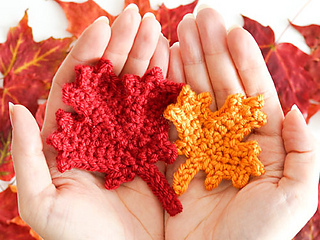 When worked with the suggested yarn and hook, they are approximately 2.75” and 3.5” wide, but you can easily vary the size of your maple leaves by using a finer yarn with a smaller hook to make a smaller leaf, or heavier yarn with a larger hook to make a larger leaf. 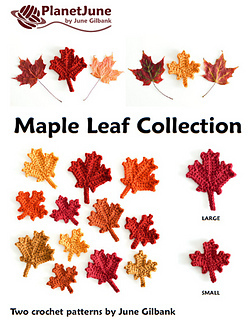 For each leaf size, you’ll find both the written instructions and a complete stitch diagram on a single easy-to-print page. 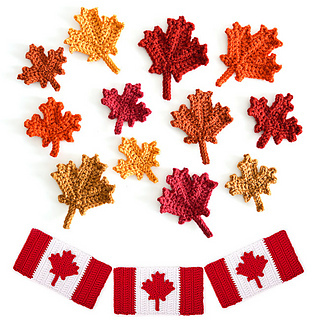 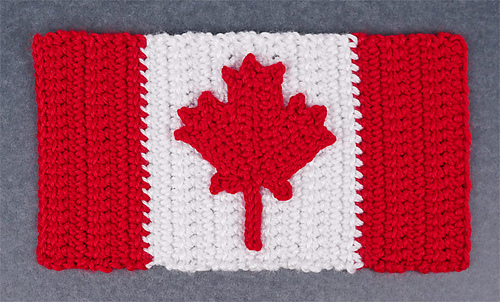 Bonus Canadian Flag You can also make the large Maple Leaf into a perfectly proportioned Canadian Flag! 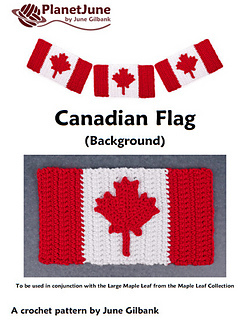 The flag background pattern is included as a free bonus PDF with this pattern purchase. 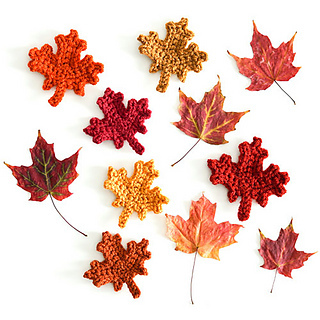 Small leaf: approx 2.75” (7cm) wide by 2.25” (6cm) tall, excluding stem. 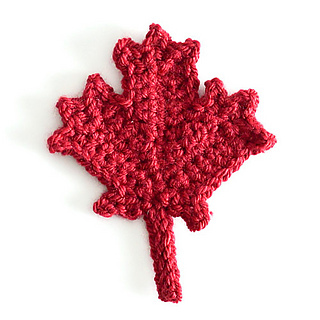 Large leaf: approx. 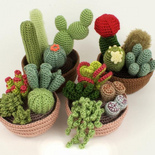 3.5” (9cm) wide by 2.75” (7cm) tall, excluding stem.